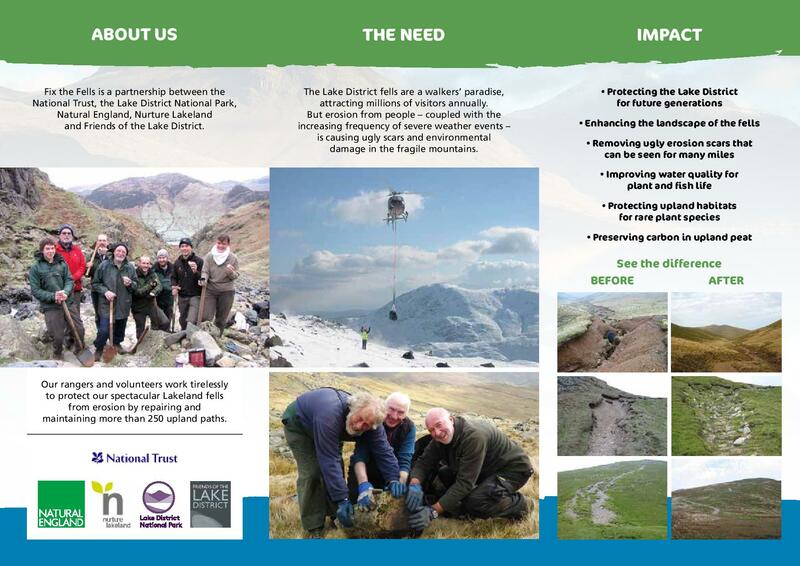 Fix the Fells has produced and printed a new leaflet outlining the vital work of the partnership to repair and maintain the upland paths of the beautiful Lake District. The leaflet includes sections including About Us, The Need, Impact, Support Us and Find Out More. It also features several high quality and inspiring images. The full leaflet can be viewed here.